What if elite Mossad agent Jet had a brother? What if someone was stupid enough to try and kill him? Rudy just wanted one last spring break hurrah before his final semester at college, but when one of his friends betrays him to the most powerful drug dealer in Jamaica, he knows he’s in trouble. Rudy’s only chance at survival is his sister, an elite Mossad assassin code named Jet. This time, she’ll have to pull out all the stops if she wants to keep Rudy alive, even if it means taking down Jamaica’s top drug kingpin all by herself. I received this book from the author in exchange for honest review. I have to say straight up that as a novella this was extremely entertaining and read really well in terms of a short story. Structurally it was fast paced and easy to understand without prior knowledge of the author or previous books. The characters were portrayed really well as I could connect with them and feel all of the emotions they were feeling. 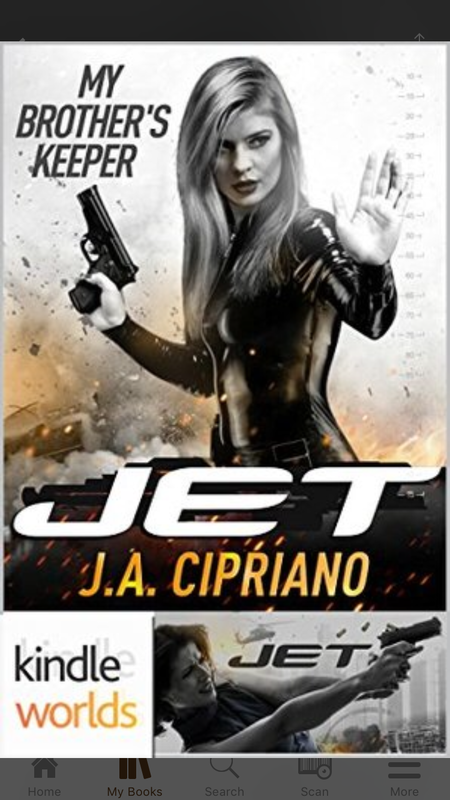 Jet was portrayed as a stereotypical “spy” yet the author also made sure to remind us as the readers that she is still just a young women who has had a tough start in life and is just trying to get by. The plot was entertaining from the start right up until the end. It was based of a very real situation which makes it easier to connect with the characters and get sucked into the book. I honestly could not put it down! I would recommend this to anyone that is looking for a quick read that is entertaining and badass.